Farmers and fishermen from western Visayas immediately received funds and equipment assistance right after the storm passed, as initiated by the Department of Agriculture (DA) headed by secretary Manny Piñol. On Wednesday, July 25, farmers and fisherfolks received P31-M worth of agriculture and fishery equipment, tools and insurance payments for those who were affected by recent storms. Aside from Western Visayas, Region 6 areas also received the same amount of assistance for agri-fishery support during the Biyaheng Bukid program led by DA. A complete report was shared by DA secretary Manny Piñol on his Facebook account written by SMH Torento. Iloilo City, July 25 - Western Visayas farmers and fishermen received P31-M agriculture and fishery equipment and gear while those affected by the recent tropical storms received insurance payments during an event today in the Western Visayas Agricultural Research Center (WESVIARC) in Jaro District this city. Farmers and fishermen of Region 6 received a total of P31 million agri-fishery support during the Biyaheng Bukid sortie of Agriculture secretary Manny Piñol on July 25 at WESVIARC, Jaro, Iloilo City. Sec. 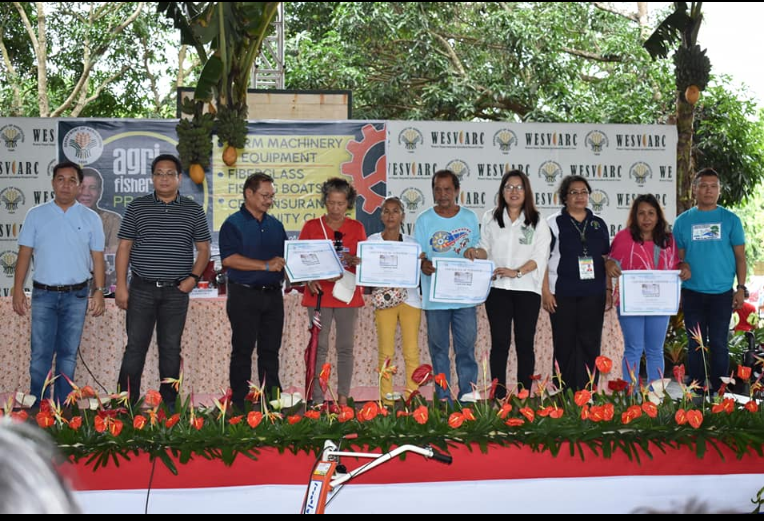 Piñol led the distribution of P25,240,000.00 worth of farm machineries and equipment to the different farmers’ associations in Western Visayas. Meanwhile, the DA-Bureau of Fisheries and Aquatic Resources had turned over fishery projects amounting to P5,017,000.00. These include 267 seaweed farm implements, 30 units of 20-footer fiberglass boats, one unit of 30-footer fiberglass boats and 35 stainless fish stalls for the fisherfolk of Dumangas, Northern Iloilo and Iloilo City. Two hundred Ilonggo farmers whose crops were damaged due to weather disturbances, had claimed a total of P1,131,346.00 indemnity from the Philippine Crop Insurance Corporation.